This is a photo tutorial of the cross stitch that I used in my crossing over patterns. 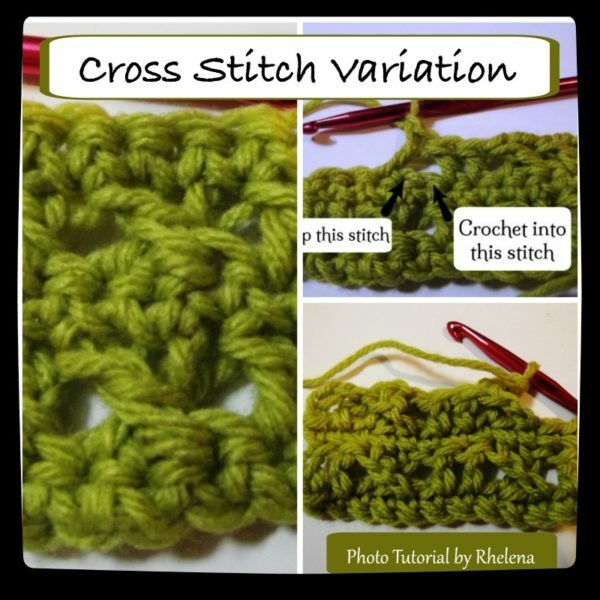 So far I have published the Crossing Over Cowl and the Crossing Over Beanie. And a few more patterns are coming soon that use the same stitch. 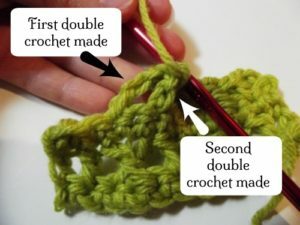 This cross stitch variation is basically the same as any other cross stitch, except that it is worked over 3 stitches instead of 2. Also, the second double crochet is crocheted entirely in front of the first double crochet so that both sides of the fabric look great. 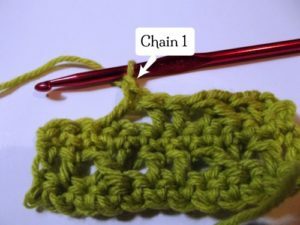 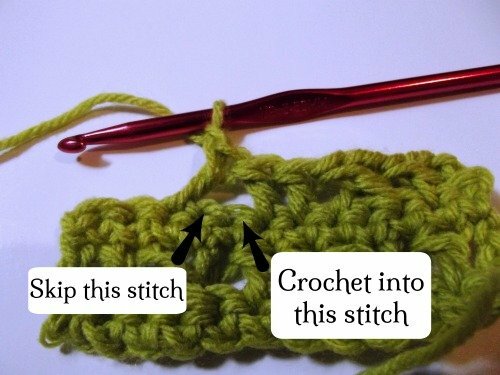 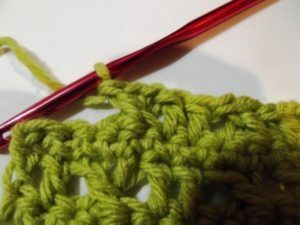 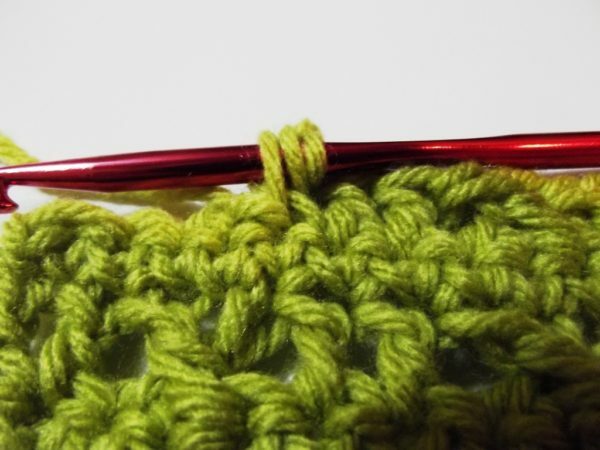 Step 1: Work your crochet stitches as it calls for in the pattern up to the crossed stitch. Cross Stitch Variation – Step 1. Step 2: Skip the next 2 stitches. Then double crochet into the next stitch. 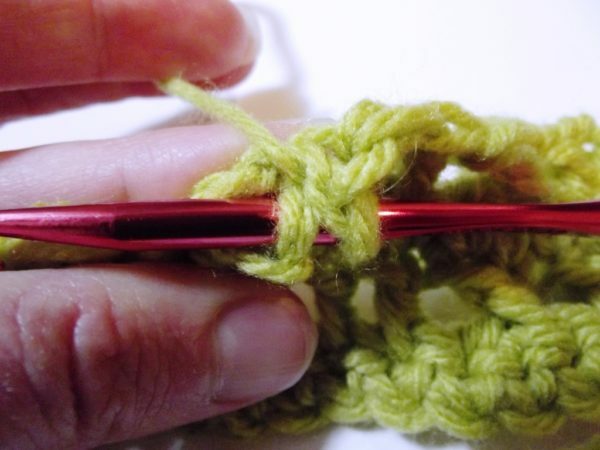 Step 4b: Wrap the yarn over and insert your hook from front to back as pictured. 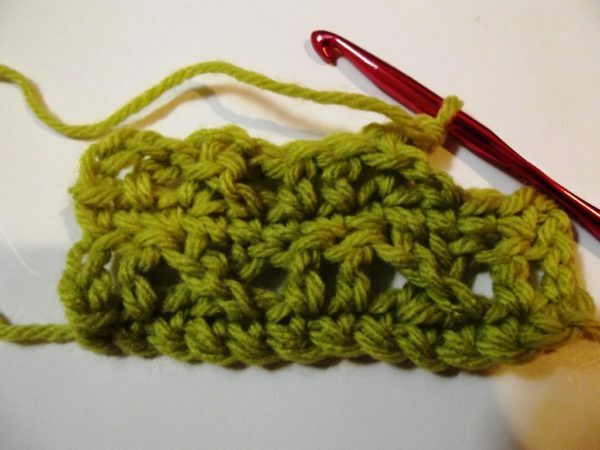 Step 4c: Bring your hook out in front of the last double crochet made. 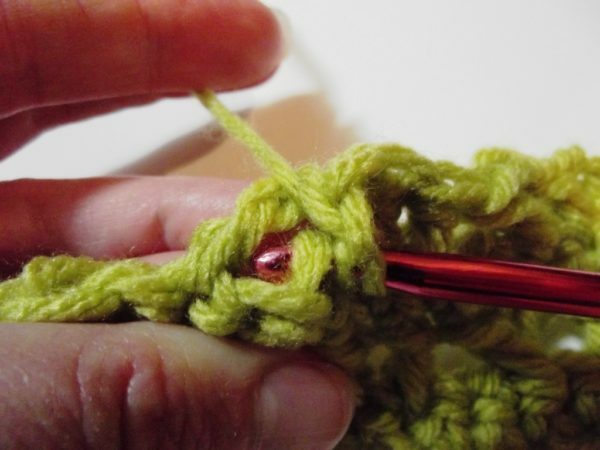 Step 5: Wrap the yarn over again and pull through. 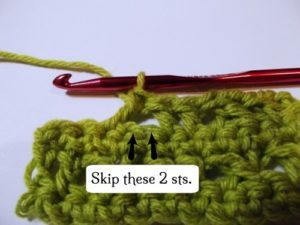 You should have 3 loops on the hook. 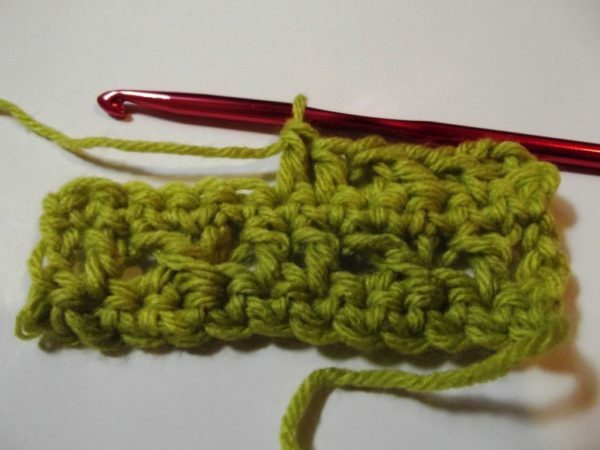 Step 6: Finish the double crochet as normal.